With A as centre and radius equal to more than half of AB, draw two arcs, one above AB and the other below AB. 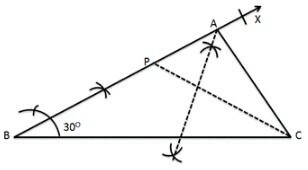 With B as a centre and the same radius draw two arcs which cuts the previously drawn arcs at C and D.
Join CD , intersecting AB at point P.
∴ CD is the perpendicular bisector of AB at the point P.
Draw a line segment OA. 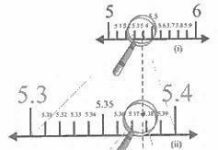 AT A, draw ∠AOE=90 , using ruler and compass. 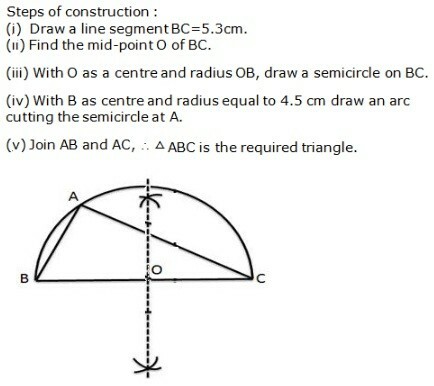 With B as centre and radius more than half of BD, draw an arc. 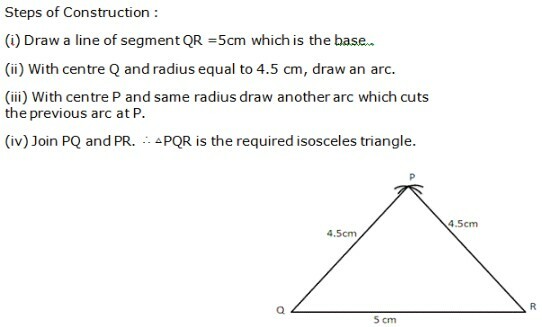 With D as centre and same radius draw another arc which cuts the previous arc at F.
Join OF. ∴ ∠AOF=45 . Now with centre B and radius more than half of BC, draw an arc. With centre C and same radius draw another arc which cuts the previously drawn arc at X. Join OX. ∴ OX is the bisector of ∠AOF. 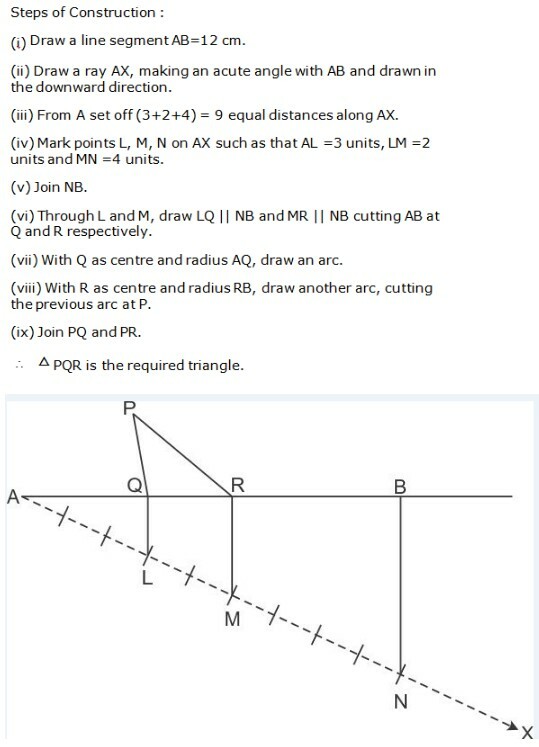 With O as centre and any suitable radius draw an arc, cutting OA at B. With B as centre and the same radius cut the previously drawn arc at C.
With C as centre and the same radius cut the arc at D.
With C as centre and the radius more than half CD draw an arc. 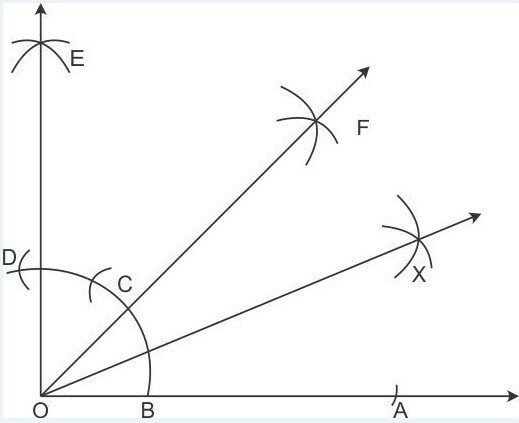 With D as centre and the same radius draw another arc which cuts the previous arc at E.
Now with B as centre and radius more than half of CB draw an arc. 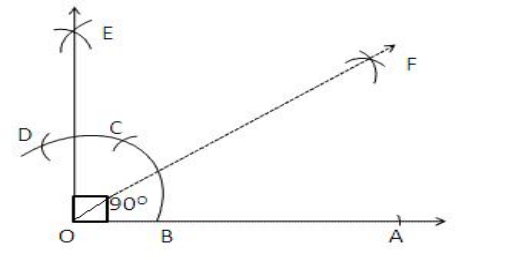 (iv) With C as centre and same radius draw an arc which cuts the previous at F.
∴ F is the bisector of right ∠AOE. Draw a line segment BC=5cm. 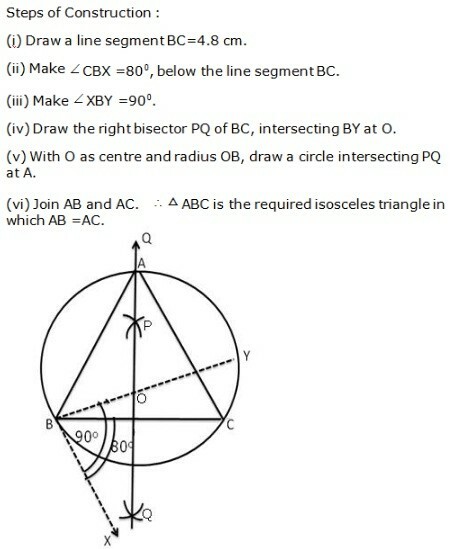 With B as centre and radius equal to BC draw an arc. 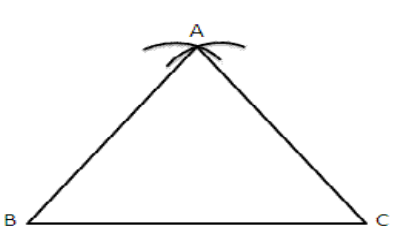 With C as centre and the same radius draw another arc which cuts the previous arc at A. 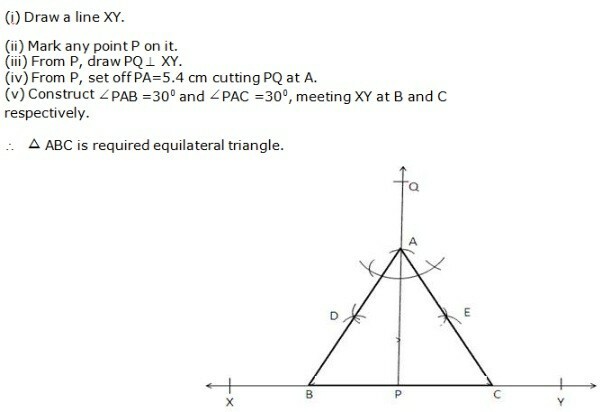 Then ∆ABC is the required equilateral triangle. 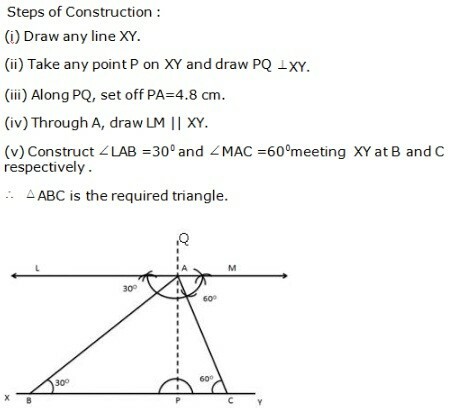 Draw BC = 4.5 cm. Along BX set off BP =8cm. 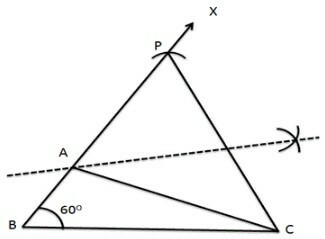 Draw the perpendicular bisector of CP to intersecting BP at A. 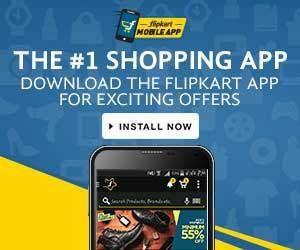 Join AC. ∴ ∆ABC is the required triangle. 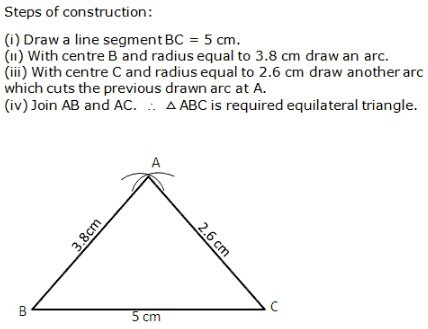 Draw BC = 5.2 cm. Set off BP = 3.5 cm. Draw the right bisector of PC, meeting BP produced at A.